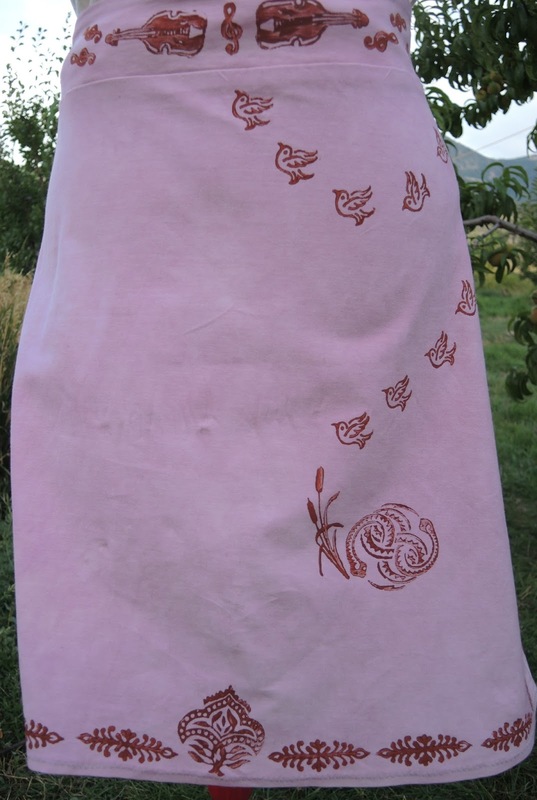 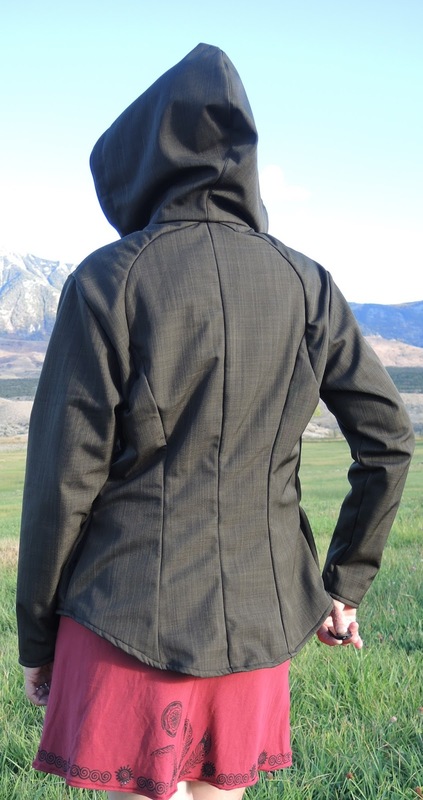 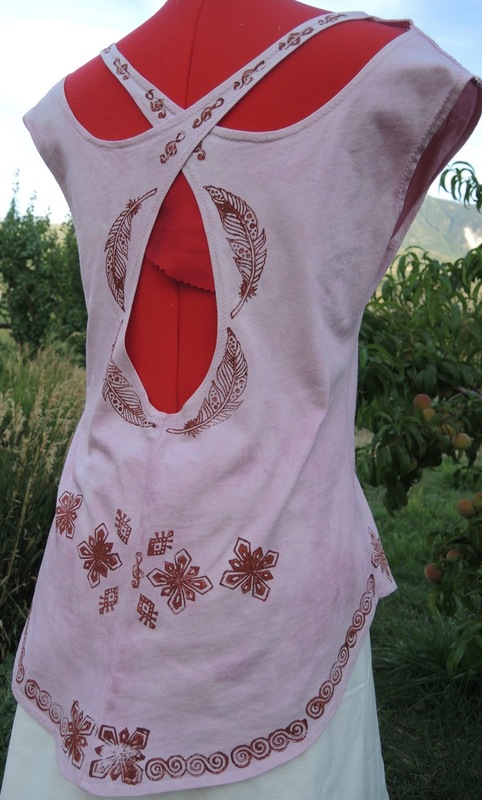 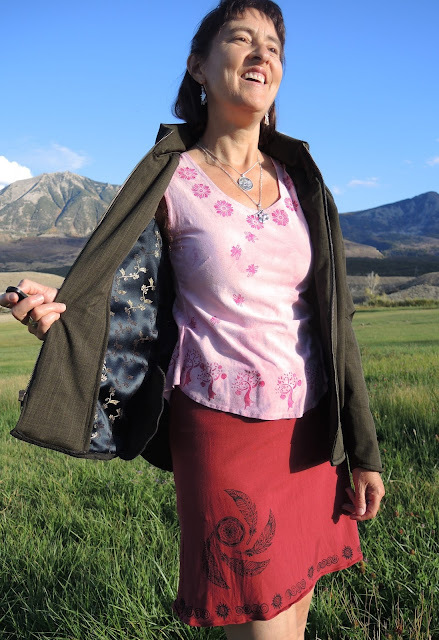 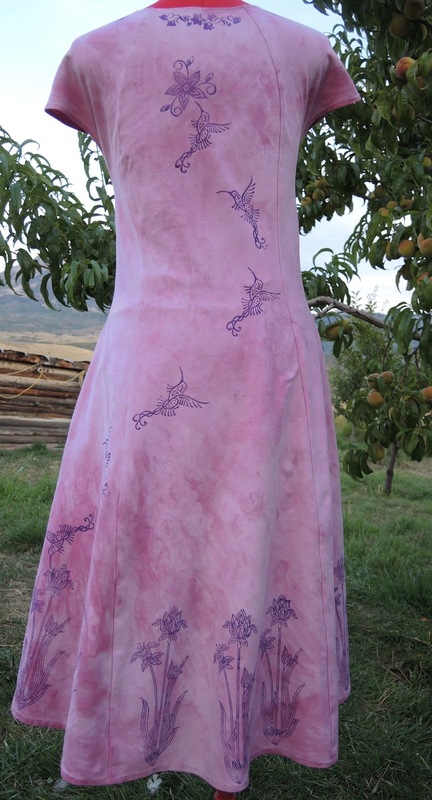 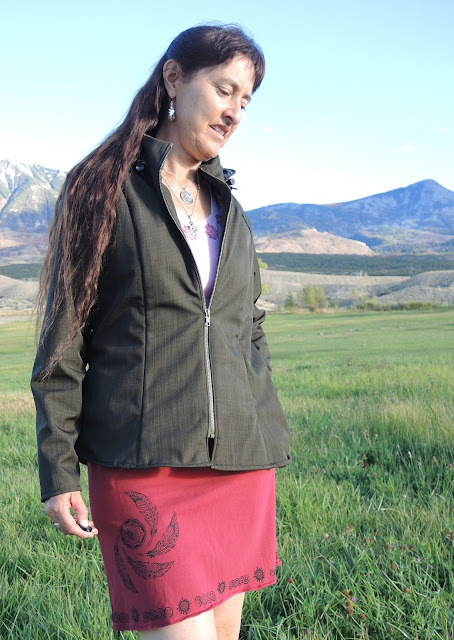 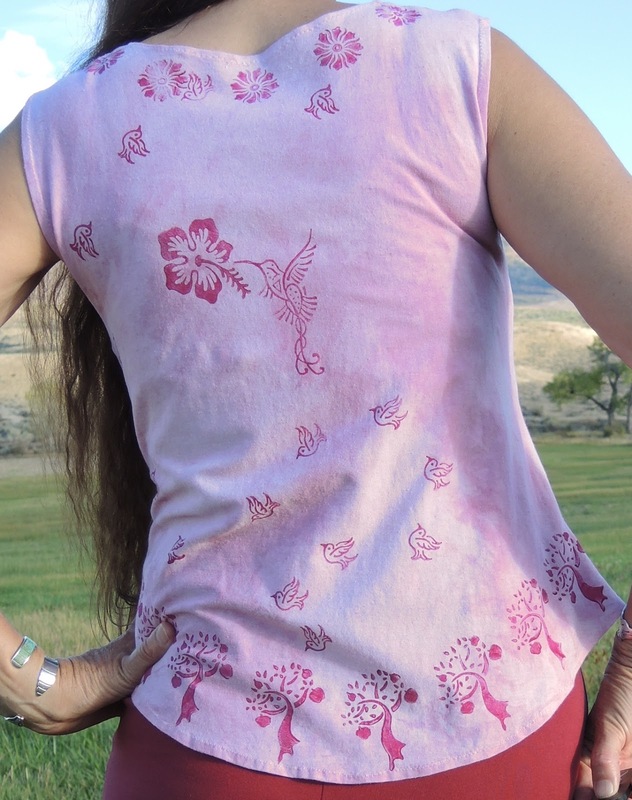 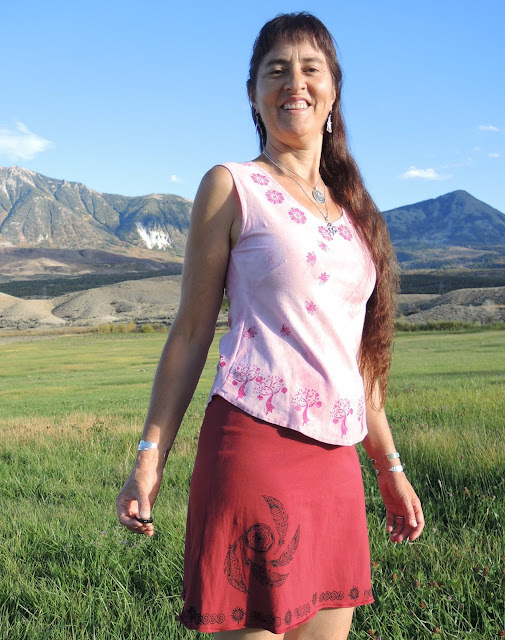 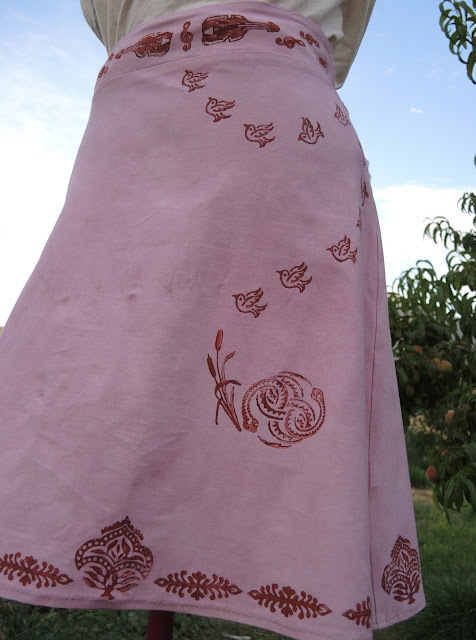 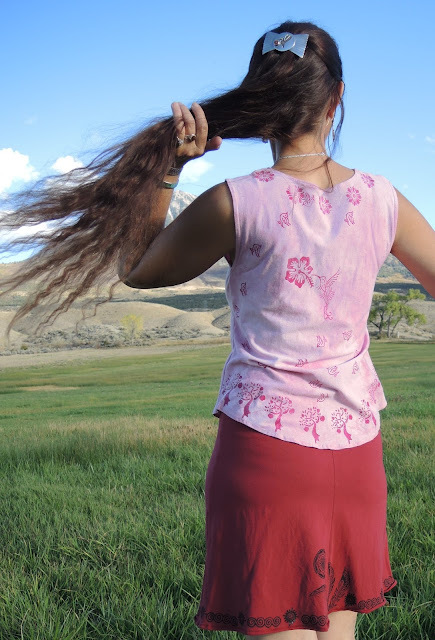 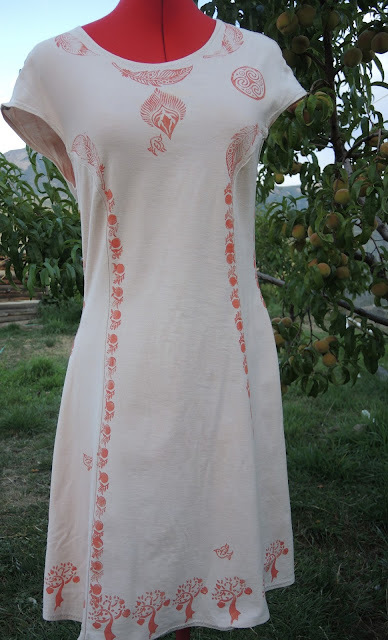 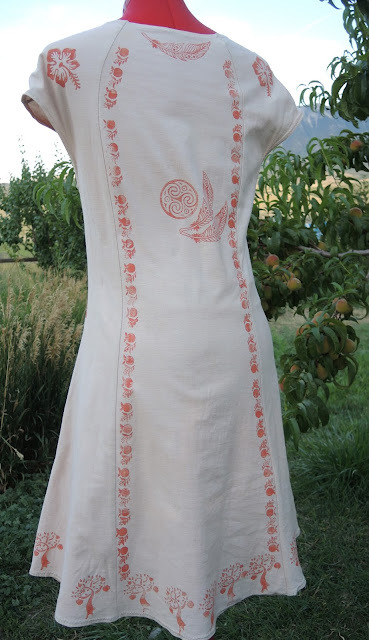 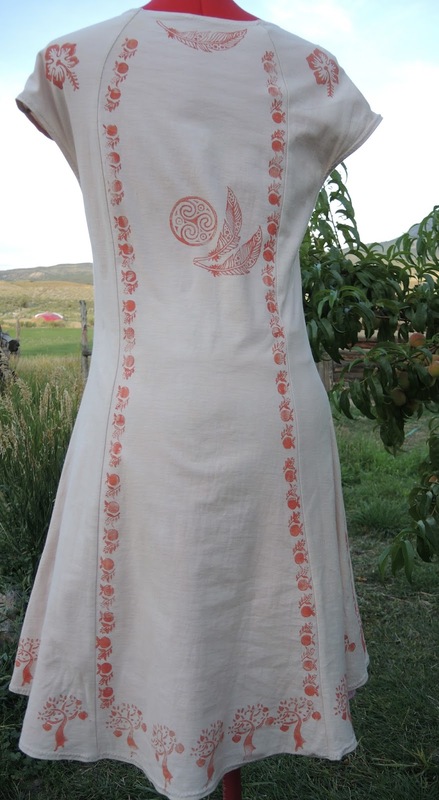 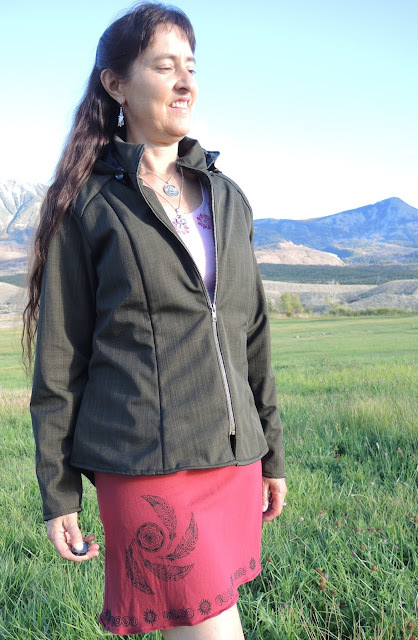 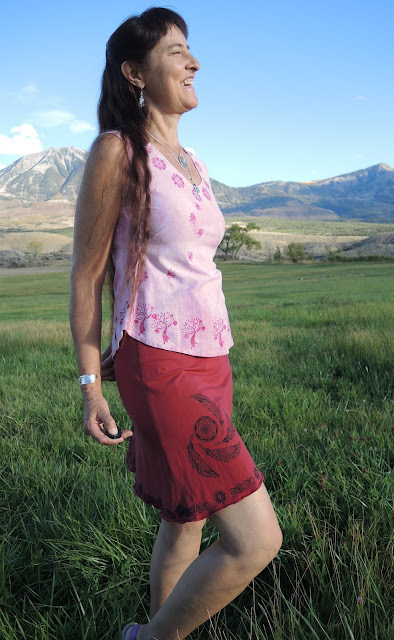 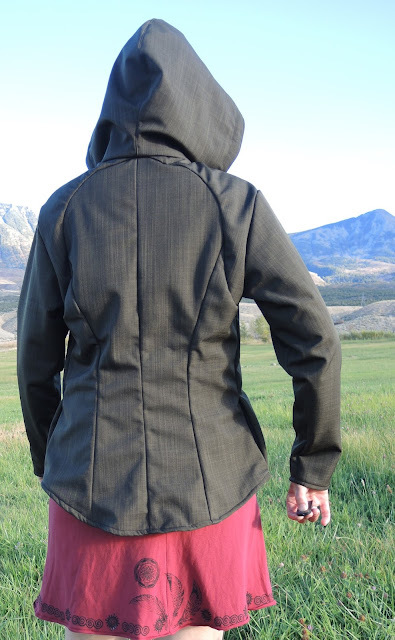 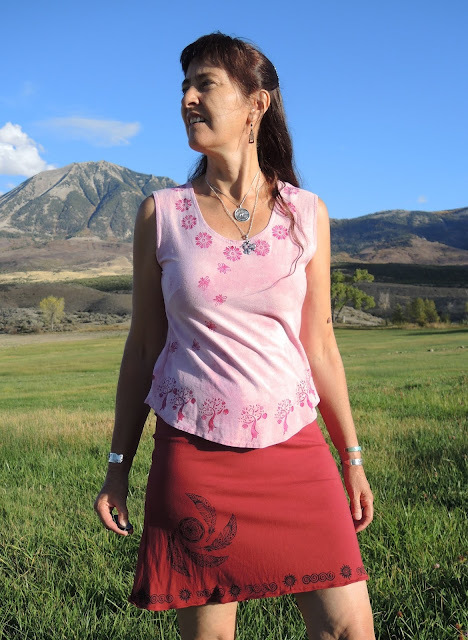 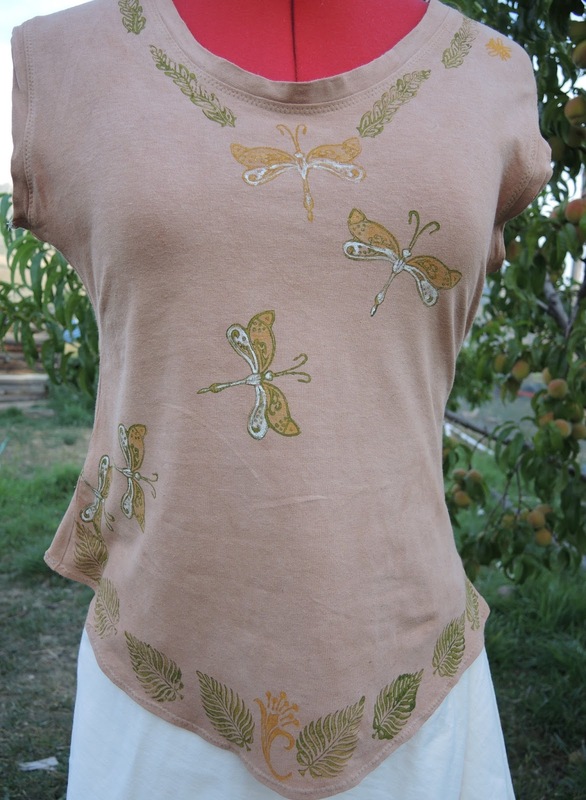 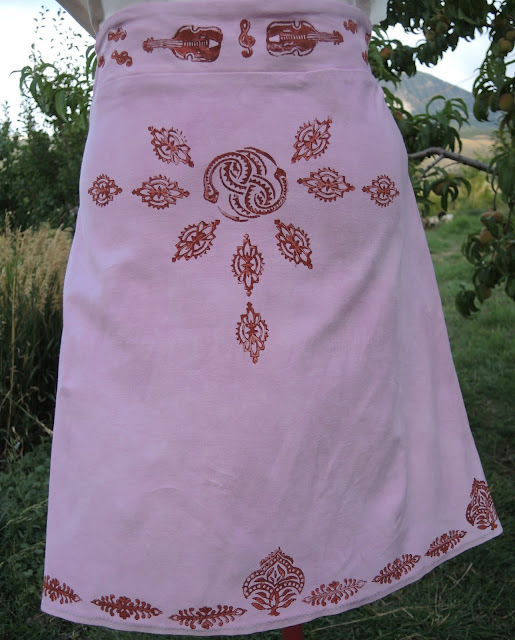 Here are some clothes I drafted, dyed with natural dyes, and block printed. 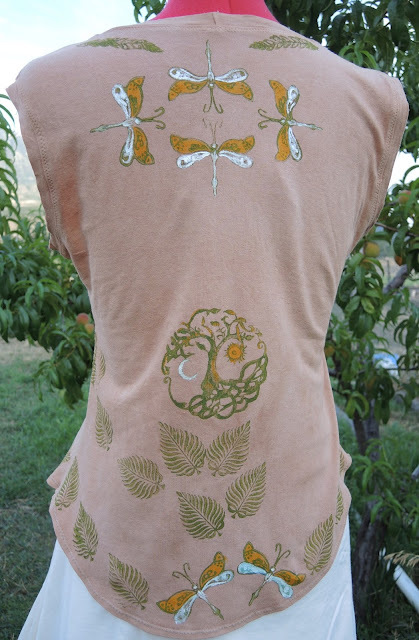 I love this open back on this shirt! I made all of these cloths with organic cotton knit. 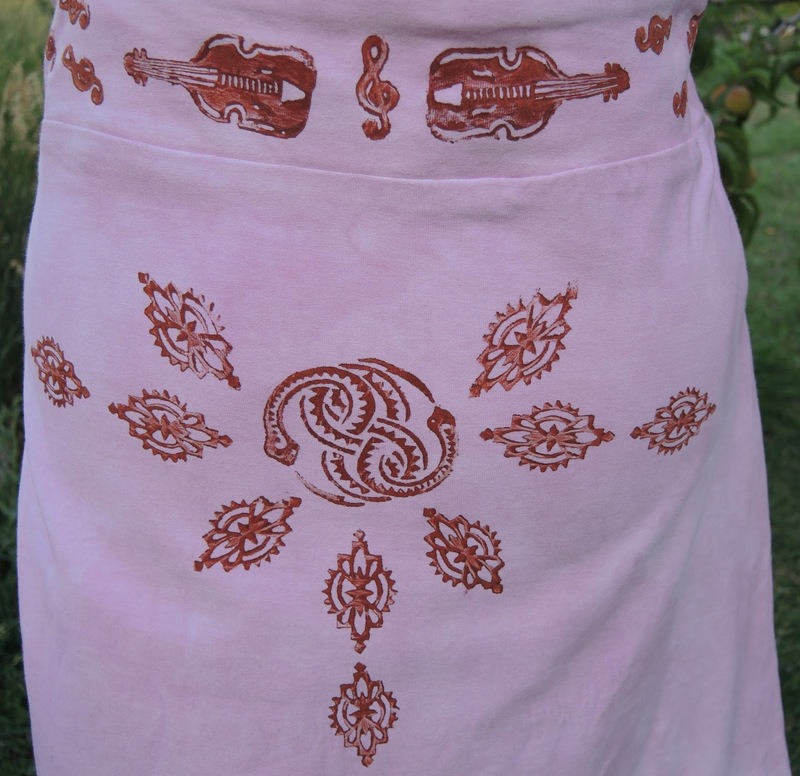 This is dyed with sandalwood. 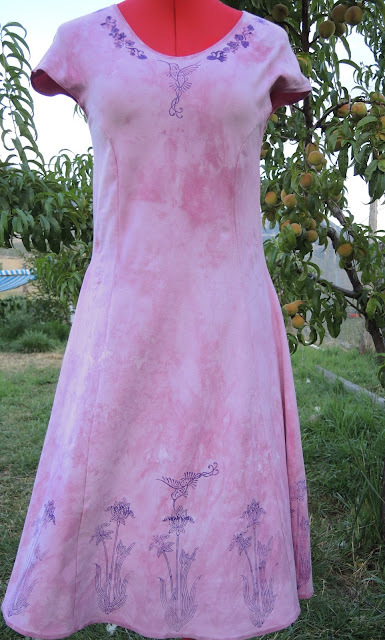 With my peach tree behind full of peaches! This is dyed with cutch - the heartwood of the acacia tree. 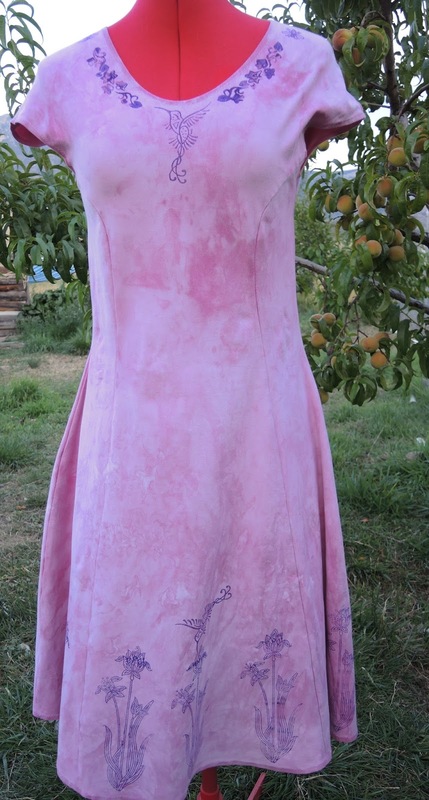 I love the way the dye makes movement!